February, 1968. In the seven months since the last blog entry, Doctor Who has settled into a state of comfortable complacency. Having defined a new direction and style for the series during its fourth season, the production team’s biggest concern seems to be trying to find a replacement for the Daleks. As such, Season Five plays out like Doctor Who’s version of The X-Factor auditions, with new monsters turning up, doing their turn for six weeks, then lumbering off the stage. So far we’ve had the Cybermen, the Yeti and the Ice Warriors, plus a genre-busting script from David Whitaker. And coming up are a seaweed creature, more Cybermen and the fearsome Quarks. And then we have this story. It’s widely hailed as one of Doctor Who’s great classics, and even though one episode is still missing presumed wiped, it’s not difficult to understand why. As we’ve seen, the show has gone from being an exploration of strange, new worlds to a series where the Earth is a base under siege by cosmic horrors. We’ve also seen the show explicitly state that humankind is important in a way that other races aren’t. And finally, the Doctor has been established as the Earth’s protector. The Web of Fear is finally the story that takes all these strands and pushes them towards a logical climax. The first episode gets the tiresome business of the Yetis’ resurrection out of the way with admirable economy – whereas it took two episodes to wake up the Cybermen and an episode to defrost Varga, we get our first Yeti attack about 10 minutes in. There is a neat call-back to The Abominable Snowmen (which, to be fair, was only 12 weeks earlier), and then we cut to several months later, with Professor Travers and his daughter Anne assisting the British army combat the conquest and invasion of London. At the point when the TARDIS arrives, the capital has already been evacuated, and the monsters are already in control. The speed with which the story is being told suggests that the writers and director assume that the audience is now familiar enough with the basic formula of the series to want to cut to the chase. And The Web of Fear is all about giving the audience what it wants. So, having established what’s going on up front, we then get half an episode of the Doctor, Jamie and Victoria wandering around deserted London Underground tunnels while we sit on the edge of our seats waiting for one of the new, scary Yeti to jump out of the darkness. It’s that anticipation which makes the first episode such a masterpiece of suspense. The second episode, which coincides with one of Troughton’s holidays, then fills in some of the gaps. But it also makes a virtue of it’s star’s absence, by having everyone wonder what has happened to him – a trick the show has occasionally pulled off in the 1960s but won’t again until the “Doctor-lite” episodes of the 21st Century series. Then, the (missing) third and fourth episodes tighten the net further around the base at Goodge Street, firstly by having it quite literally get encircled by the enemy (represented by the entire Circle Line falling to the web infestation), and then having the tensions in the group erupt into suspicion and recrimination when it becomes clear that the Great Intelligence has a spy in the camp – most likely, the mysterious Colonel Lethbridge-Stewart who’s turned up claiming to have escaped an ambush at Holborn. After the Colonel has led a daring raid to try to capture the TARDIS at Covent Garden, which only succeeds in wiping out most of the surviving soldiers, the fourth episode ends with Professor Travers being possessed by the Intelligence. It isn’t until the fifth episode that the Intelligence reveals its plan: the entire invasion of London has been a trap to snare the Doctor. 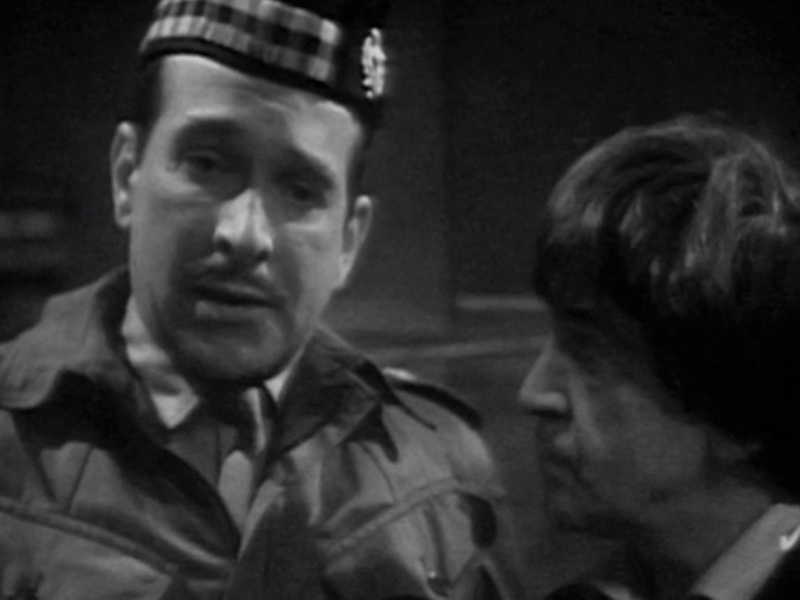 At which point, the Doctor tinkers with a Yeti and mind duels with the Intelligence to defeat it – and the audience realises that we’ve been hoodwinked: that actually, the story has been treading water for four weeks, and this could all have been over much sooner had the Intelligence just issued its ultimatum to the Doctor when he first arrived. That would spectacularly miss the point, though. The Web of Fear succeeds despite its flimsy plot because it is utterly relentless. There isn’t time to think, because no sooner has one threat subsided than another arises. New characters – Evans and the Colonel – are introduced at precisely the right moments to extend the traitor-in-the-camp sub-plot; there’s one behind-the-sofa moment each episode where the Yeti attack to the sound of a toilet-flush roar and the stirring tones of Space Adventure. And the characterisation is good enough to hold it all together even in Troughton’s absence. The Yeti are effective because there’s no way to talk to or reason with them, they’re just huge, unstoppable monsters that will stalk you till they kill you – the Doctor Who equivalent of Michael Myers; while the Great Intelligence, a disembodied and malevolent ghost from the cold of space, is as alien a menace as we’ve ever seen. The story takes the Season Five formula and does it exceptionally well, setting a new benchmark of quality for the series. In fact, it does it so well that it becomes the story that everyone remembers. Though it’s not the first of its kind, the Yeti-on-the-loo genre is named for it. Script Editor Derrick Sherwin is going to re-make it twice in the next 18 months, and the series will still be going back to it for inspiration until 1974. Had they not had a massive falling out with the producers over their next script, The Dominators, Haisman and Lincoln would probably have become the main writers for the show as it went into the 1970s – a role that Robert Holmes inherits. And while the Yeti didn’t come back (the quibbling over the rights to the Quarks probably soured that one), Colonel Lethbridge-Stewart did go on to be the show’s most enduring supporting character during the next four decades. The success of this story shows that with some investment in an impressive set, three good monster costumes and dynamic direction you don’t even need to head out to a quarry. Once Sherwin takes over as producer in 1969, he’s going to take The Web of Fear as his template for how to make Doctor Who. And Barry Letts is going to inherit that approach and, largely, default to it throughout his tenure. That’s how influential this story is: they were still making stories like it when Tom Baker was the Doctor. And on top of this, The Web of Fear also shows how thankless the role of the Doctor Who girl has become. Victoria is entirely side-lined in this story. Instead, Anne Travers takes on the role of one-story companion to the Doctor, and proves that you need to be able to do more than just scream if you’re going to be good enough. She gets a marvellous line in the first episode when a soldier asks her what a nice girl is doing in a place like this. “When I was a little girl, I thought I’d like to be a scientist,” she says, though gritted teeth. “So I became a scientist.” In 12 weeks’ time we’re going to meet Zoe, who’s far more like Anne than she is Victoria. And thereafter, the Doctor’s companion is never quite as useless again. Yet despite all that, it’s only with retrospect that we can see The Web of Fear as more than just another in a series of identikit horror serials. At the time, no-one was picking up on the discordant notes here: the fact that it’s the Doctor’s failure to properly clean up after the Intelligence’s first incursion in Tibet that condemned so many people to die here. The fact that the Intelligence was only interested in Earth or humankind as a way to get to the Doctor. The fact that he hurries away again, on a curiously unresolved note, admitting that the Intelligence has only been defeated, not destroyed. The Doctor, the self-appointed protector of the Earth, has brought death and destruction down on us, and he doesn’t even stick around to put things right. Next Time: “There was a war. A time war…” The second Doctor fights his last battle for the sake of all creation in The War Games.